“My hair isn’t growing!” Is what I hear often and most of the time that is not true. Hair grows, but it also breaks. If your hair is “stuck” at one length then you probably aren’t retaining any length. That means, your hair is breaking at the same rate your hair is growing (In some cases, your hair isn’t actually growing, then it is time to see physician). I will give you some tips on how you can retain length so your growth will actually be visible. Drink enough water. Your hair needs moisture and if you drink enough water your body stays hydrated. Please invest in a satin pillowcase or satin bonnet. Your hair rubs against your pillow while you are sleeping and that can cause more breakage if you do not wear a satin bonnet. For the people that are restless at night, a satin pillowcase is also a great option. Deep condition on a regular basis which will keeps your hair hydrated, especially after washing your hair. I only deep condition after washing my hair. Stop touching your hair. I know this is hard, especially when your hair feels soft but the more you touch your hair, the more breakage you will cause. Also, try not to style your hair to often. Whether that is a wash n go or a twist out or anything else. Re-styling your hair every day or every other day is too often. I just to re style my hair every day. Now I have at least 8 days between washing days and I’ve noticed a big difference. I wash my hair with a sulfate free shampoo because sulfates make my hair extremely dry. However, this does give me product build up, so once a month I cleanse my hair thoroughly. Of course, heat can damage your hair, especially your ends and try to limit it as much as possible. Also I am team air drying. I am not saying a diffuser is bad option, but ocasionally try to air dry. 7. Protective styling and/or low manipulation styling. As explained in point 4, the more you leave your hair alone, the more length you will retain so low manipulation styles are definitely a way to go. Protective styles are great because your own hair is protected and not exposed too much to wind, sun etcetera. Keep in mind, that if you do protective styling (wigs, braids etc,) that you still have to take care of the hair that is protected. Don’t keep your braids in too long and take good care of your edges. Try to keep the balance in your hair between moisture and protein. 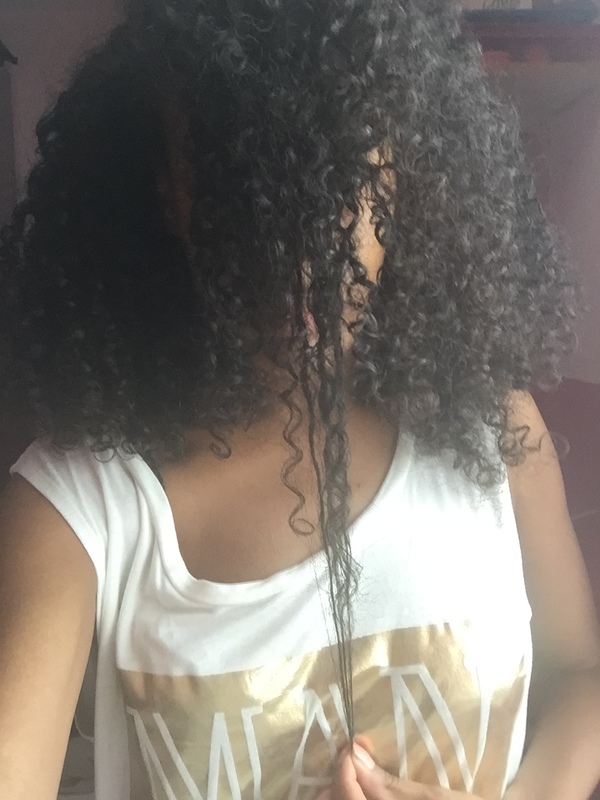 Since my hair is low porosity, I only do a protein treatment once a month otherwise I overdo it. It varies per individual. Some need more protein than moisture and some need more moisture than protein. Find your balance. A lot of people forget to moisturize the scalp (Me too). Try to do some hot oil treatments once in a while for your scalp and massage it in. This will also stimulate hair growth. And finally, protect your ends. Your ends are the oldest part of the hair and the most fragile. Try to hide them as much as possible or make sure you seal them well. And remember, health over length. Once you are more focused on the health of your hair, you will notice the length much quicker.